I just started with this picture of Miki Ando because I thought this shot was simply gorgeous. I was watching a re-run of So You Think You Can Dance season 7 and noticed that two of the contestants looked a lot like two figure skaters who used to date each other. Clues to who they might be? Both are Americans who have won medals at the Olympics. Doesn’t she look like Tanith Belbin? 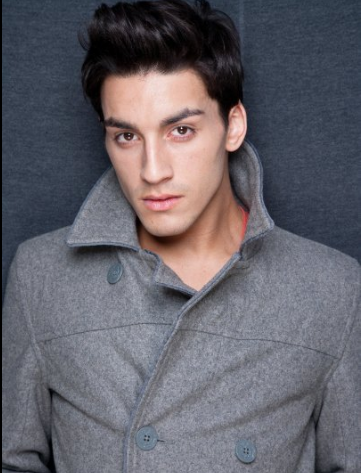 Then there was Robert from SYTYCD7. 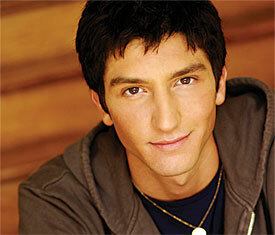 He looked like the young Orange Bro Evan Lysacek and so I had a hard time liking him. Any other look-alikes that I should know of? Jana Khokhlova and Fedor Andreev may be a new team but they have a good chemistry together and even though Fedor has just started his ice dance career, he’s coming along quite nicely. I’ve got a feeling that he’ll be taking his twizzles a lot more seriously this upcoming season as he has yet to do a decent one in competition. Still, this exhibition program gives me hope for their future and unlike most of the underdogs I’ve featured here, they may be able to break into the top 10 at Worlds someday. What are your views of this pair’s future? I know I haven’t been posting lately as my life has once again become very hectic. In any case, here’s a post to entertain you while I think of something substantial to post about. Between Aunt Joyce, ice network and ontd_skating, there should be enough news on music choices and whatnot so I’ll think of something unique to write about soon. Without further ado, some entertaining show/exhibition programs! I love this program to shreds as well. This is the best they’ve skated it and they reminded me once again why I love them so much. This is a recent video of Mao at The Ice skating show in Japan. I’m not a huge fan of the music or the choreography but it’s nice to see her landing her jumps. They’re a hair lower than I’d like to see them but she’s landing them and that’s a good sign for next season. Whenever I watch Mao, I just can’t help but note her wonderful qualities like her great skating skills and her lyrical movement. I simply cannot relegate her to the position of “has been” like Caroline Zhang because she’s far from being a “has been.” She’s still sublime and she’s got fans who hope that her divinity can transfer to medals when the competitive season begins. For now, it’s encouraging to see that’s she’s still got a hopeful energy (her little speech in the opening program was pretty cute – it was all about giving happiness and hope to people after the devastating earthquake in Japan) and the beginnings of solid jumps. Here’s to hoping that Mao can be competitive against Yuna and the baby Russian divas! Cheers! For more videos from The Ice, the lovely people at ontd_skating have made a post about it. Just a postscript: doesn’t Kanako Murakami’s skating in this show sort of remind you of Joannie Rochette? Not that being an Olympic bronze medalist is a bad thing, but I feel as if Kanako can do a lot better in terms of choreography. I hope you haven’t completely lost patience with me and the fact that I haven’t updated in ages. July was an extremely busy month for me since I was working and doing some intense studying but things have changed and I will be able to blog again! Unlike Aunt Joyce, who has also come back after an even longer hiatus (Welcome back, Aunt Joyce, if you happen to grace this page with your lovely presence! ), I cannot offer anything as epic as an interview with a past Olympic champion but I humbly offer this lovely Michelle Kwan program. I just love her costume.